Chrome for Android updated with password syncing | Android Blast! 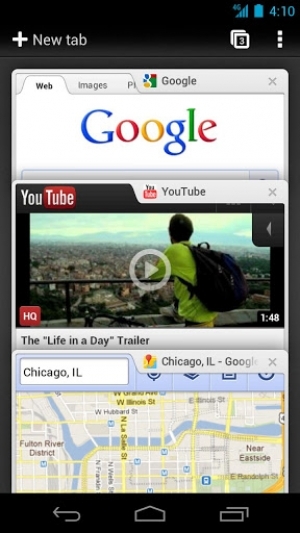 Google updated Chrome for Android today. The update brings bug fixes, performance and stability improvements, and new syncing of passwords and autofill data. You can now access passwords from a desktop browser on Chrome for Android. All you do is sync your desktop browser and your data will be available on your mobile. The latest update also adds some additional HTML5 features as well as enhanced pinch-to-zoom responsiveness. Chrome is really making headway in the mobile space. Anyone who uses Chrome on the desktop should be using the mobile version too. Download the latest version in the Google Play Store at the link below.